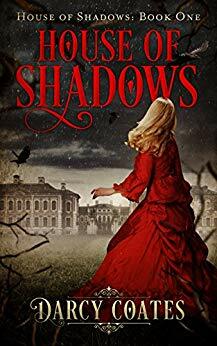 Trapped in Northwood and desperate for an escape, Sophie’s fate is further complicated as she finds herself drawn to the tall, dark-eyed man she married. She suspects her feelings are returned, but Mr Argenton is hiding something… and his secrets are so dangerous that they might just be unforgivable. I thoroughly enjoyed this book. It’s not perfect. I found the “romance” rushed and implausible – there was almost no development to it. But the gothic aspects of the story were very well-written. It’s a great example of the gothic tradition and I can see why Coates is a pretty well-known name among gothic fans. I immediately bought the second book in the series and hopefullly I will find time to read it soon.